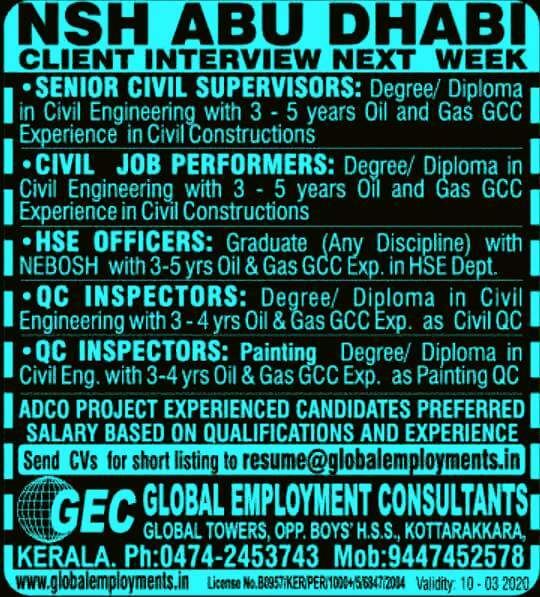 3 to 5 years Oil & Gas experience in Civil Constructions. 3 to 5 years experience in Oil & Gas Experience in HSE Department. 3 to 4 years experience in Oil & Gas Experience as Painting QC Inspector. 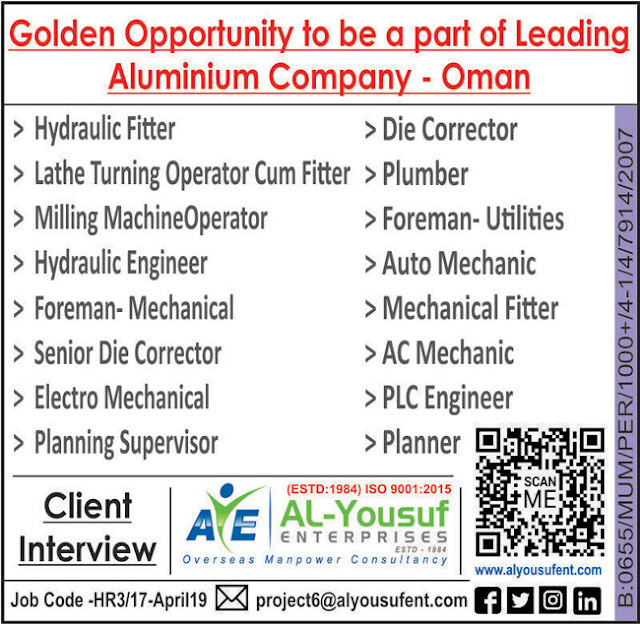 ADCO PROJECT EXPERIENCED CANDIDATES ARE PREFERED FOR THE CURRENT POSITIONS. SALARY WILL BE BASED ON THE QUALIFICATIONS & PROFESSIONAL EXPERIENCE.